Christmas Gift Guide - A Gift For Babies & Toddlers! Welcome back to my Christmas gift guide!! This gift is one for the babies and toddlers in your lives! Little ones can usually be easy to buy for and toys will probably be your go to but what if you want something a little different? Maybe the parents plead with you for no more toys and something educational as an alternative. This is where Babel Babies comes in. 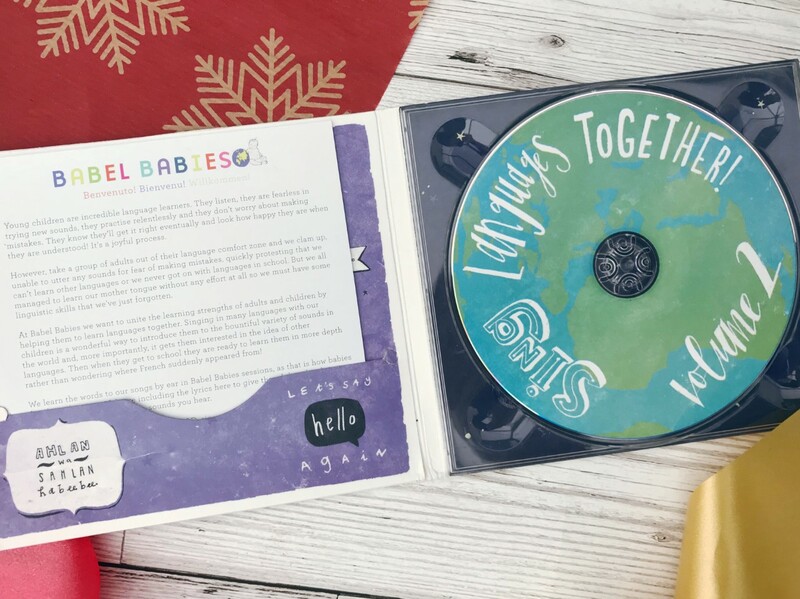 A great alternative to a toy, their Sing Languages Together CD, brings multilingual music and stories together to learn, sing and play. There are songs in Italian, Welsh, French, Russian, Norwegian and more. 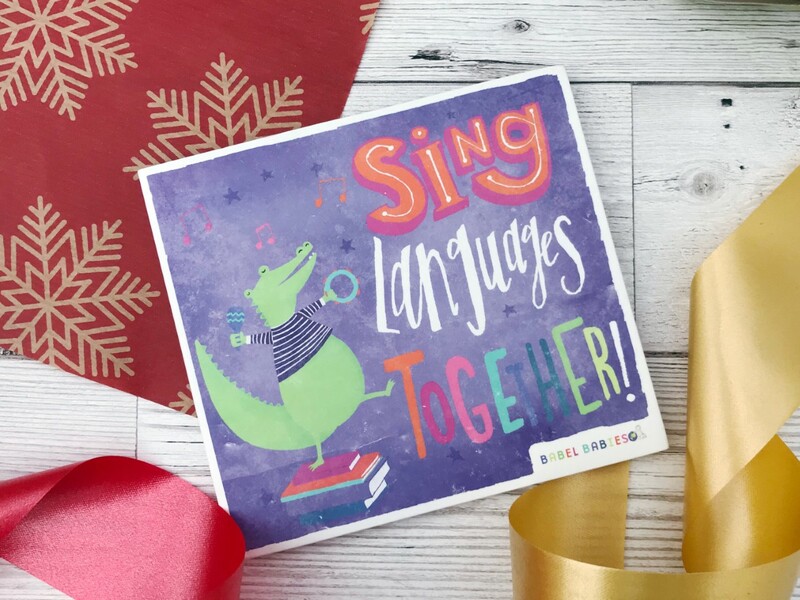 Sing Languages Together gives the opportunity for a child to try and learn languages without even realising! Studies show that learning languages and becoming multilingual is much easier when done at a younger age. We all know too well that children repeat things over! They also love new sounds and words, meaning they grasp languages much easier than us grownups! As a teenager I struggled so much to learn French at school and was amazed to discover that my teacher's two year old son was fluent as he'd been taught at such a young age. My own son is now four and having started school is no longer a baby but he has really enjoyed singing and bopping along. 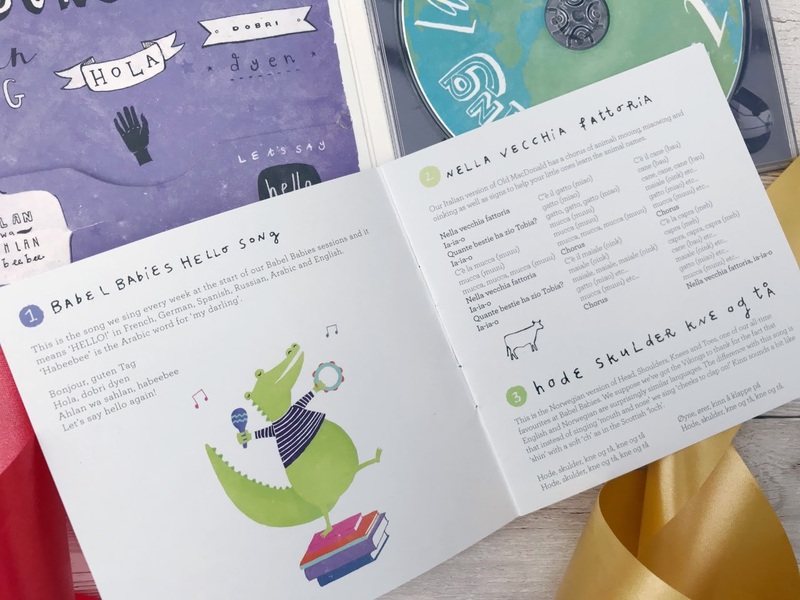 Grown-ups can enjoy it too and there's a handy booklet that features all the the song words so you can sing along easily and help with pronunciation. At a price of £10.00 (plus postage), Sing Languages Together gives you a gift that's educational but also fun. For more information on Babel Babies, their classes and to visit their online store take a look at their website here.